News that the Turkish and Israeli governments are about to renew full diplomatic relations after years of tensions causes me to smile cynically – and to worry again about Israeli gullibility. The two states enjoyed close relations in the 1990s, when a common world outlook led to a strong military bond, growing trade, and exchanges of people and culture. Writing in 1997, I characterized this bilateral as having "the potential to alter the strategic map of the Middle East, to reshape American alliances there, and to reduce Israel's regional isolation." It flourished for another five years, until the Justice and Development Party (Adalet ve Kalkınma Partisi, or AKP) won the Turkish elections of 2002 and proceeded to move Turkey in an Islamist direction. Among many implications, this meant distancing Ankara from Jerusalem and, instead, warming relations with Hamas in Gaza. Under the leadership of Recep Tayyip Erdoğan, the Turkish government took one step after another to degrade Israelis and diminish relations between the two states, peaking with its indirect sponsorship of the Mavi Marmara ship to Gaza in 2010. In response, the Israelis did all they could to make things work again, even apologizing and offering to pay compensation for the Turkish casualties aboard the Mavi Marmara. Until now, they were rebuffed. Then, on Nov. 24, Erdoğan made the disastrous mistake of shooting down a Russian plane that had veered into Turkish airspace for 17 short seconds. This action came, it bears noting, against the backdrop of some 2,244 violations of Greek airspace by Turkish military aircraft in 2014. 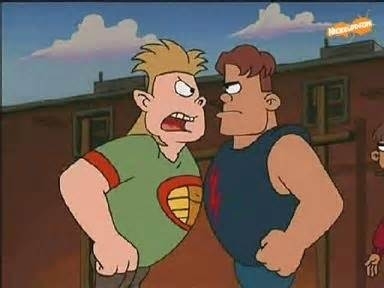 When two bullies clash, the bigger, tougher one prevails. The almost-unprovoked aggression raised the extreme ire of Russia's President Vladimir Putin. What happened next reprised the school yard scene of a lesser bully foolishly annoying the greater bully. Erdoğan more than met his match in Putin, who showed himself a skilled risk-taker and willing to pay a heavy economic price to win his point. Erdoğan quickly realized he had riled the same bear that had beaten the Turks in war time and again over the centuries (1568–70, 1676–81, 1687, 1689, 1695–96, 1710–12, 1735–39, 1768–74, 1787–91, 1806–12, 1828–29, 1853–56, 1877–78, 1914–18). He then did what lesser bullies tend to do, scurrying to former friends – NATO on a larger scale, Israel (and Egypt) on a smaller one – eager to patch up differences with them. A Wall Street Journal report of the Turkish-Israeli negotiations in Switzerland indicates a Turkish readiness to close on the Mavi Marmara dispute, to end Hamas activities on Turkish soil, and (most important) to discuss a pipeline carrying natural gas from Israel to Turkey. The last makes good sense from Ankara's viewpoint, for Israeli gas would diminish its dependence on Russian gas; but this step hardly serves Israel's interests. Once the Russian threat has passed, Turkish Islamists (who will likely be around for a good long while) will resume their old ways, including the bitterly anti-Israel dimension. (Already, since negotiations began, Erdoğan has met with Khaled Meshaal, a Hamas leader.) Because a gas pipeline renders Israel hostage to Turkey into the long-range future, this looks like an imprudent step. Despite an Israeli reputation for toughness, Jerusalem tends to be too optimistic (think of the Oslo Accords of 1993 or the Gaza withdrawal of 2005), creating major problems for Washington. Therefore, however tempting an Israel-Turkey gas pipeline may appear, Americans should advise and work against such a step. Dec. 20, 2015 addendum: Should this pipeline come into existence, it will hardly be my first disagreement with the Government of Israel. For a long list of others, see "Do I Not Criticize Israeli Policies?" Dec. 28, 2015 update: Good news from Ankara: The Turkish government is sticking to a hard line. Presidential spokesman İbrahim Kalın said that "Turkey-Israel relations will not normalize until Israel realizes the three conditions. We have not given up on these." Aside from an apology for the Mavi Marmara incident (done) and compensation for families of the deceased (in negotiations), Erdoğan demands that Israeli troops pull back and "end the blockade" of Gaza. That third demand is very unlikely to be fulfilled; if so, the gas pipeline recedes as a possibility.